Do you ride the bus every day? Are you a first time rider? Join us for Bus to Work Day! Riding the bus is a stress-free way of getting to work and a great way to unwind after a long day, so why not take a ride wherever you may need to go? What is Bus To Work Day? 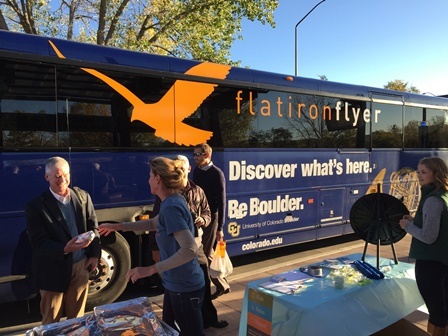 It’s a day to celebrate those who commute to and from Boulder County communities on the bus. To celebrate riders, we want you to “Ride, Relax, Repeat” and use the time spent on the bus to travel stress-free and give your car a break. Throughout the morning of Sept. 28, events will take place at various bus stops and stations. Visit one of the designated stops & stations (info coming soon) to eat, drink, and possibly win a prize! Why Should I Ride the Bus? A number of stations throughout Boulder County will be designated as “breakfast” and/or “activity” stations. 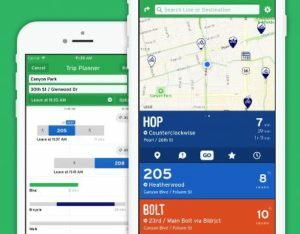 Start planning your bus trip now using RTD’s Trip Planner. Download Transit, a new real-time travel app. Learn more. If you’d like to help with the event, contact Jared Hall via email or call 303-441-4958.